Young Adult (YA) literature is exploding. A broad range of stories is coming out right now in the unprecedented numbers of books for young adults. On the one hand, this has meant some incredibly powerful stories that can connect deeply with our students in terms of both the brokenness of our world and also the beauty of moments of grace and redemption. On the other hand, vulgar language and scenes of teens exploring sexuality have almost become a prerequisite for publication. 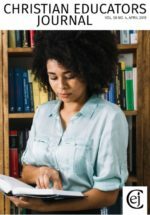 The challenge for Christian schoolteachers is to find books for students that are authentic in how they address the challenges of adolescence and simultaneously to avoid books that are prohibitively vulgar, promote an unhealthy view of sexuality, or lack any hope in the face of a broken world. The good news is that really good stuff is out there, but it requires a lot of reading to find it. Here are ten books (more or less) that I read this past year that represent a good start. I absolutely loved reading these books and hope you will too. This book, at first, seems to be a collection of disconnected stories about the inhabitants of two towns in Alaska. Three boys stow away on a ferry to run away from their abusive home. A girl who is pregnant and alone is sent to a convent by her grandmother. Another girl wins a local lottery just before her alcoholic father gets out of jail. A girl decided not to attend a ballet audition that could get her into college in favor of working on her dad’s fishing boat. Then, slowly, all of these threads of brokenness start to weave together as the characters encounter kindness, love, and grace. That doesn’t mean that all the problems go away, but there is hope. This is an emotionally powerful book. There are some instances of vulgar language, drinking, smoking, and allusions to abuse and sexuality, but the redemptive nature of the book more than makes up for that. While you should pre-read this book with your school community in mind, I don’t think it is likely to be challenged. This would be a great book to teach in a high school literature class but would also be an excellent addition to your classroom library. Oh, and if this did make me cry a little bit, there is no way I would admit it. These graphic novels are an extension of Meyer’s Lunar Chronicles series of conventional books. In the Wires and Nerve series, Earth and its lunar colony are recovering after the reign of an evil queen who had ruled both Earth and the moon with the help of genetically modified wolf-human hybrid soldiers. The cast of characters includes a cyborg mechanic who discovers she is the lost princess of the moon, a farm girl who befriends and falls in love with one of the wolf-human soldiers, and an android who had been a serving girl but is upgraded to be one of those sent to capture the wolf-soldiers who are wreaking havoc even though the war is over. And that might sound like conventional science-fiction fare, but as with most sci-fi, it is best not to confuse the setting with the story. At heart, this is the story of people trying to figure out what it means to be human. The princess wants to figure out how to rule without hurting or exploiting people, the reformed wolf-soldier doesn’t know whether he is capable of resisting his violent instincts, and the android wants to know what makes her different from humans. There is enough action here to keep the interest of those students who have no interest whatsoever in themes or ideas, but they will be exposed to them all the same. It is just a really fun story. There is some violence here, but it isn’t gory or celebrated. This book would be great for a classroom library (and would probably work for middle school and high school both). Bill Boerman-Cornell is a professor of education and English at Trinity Christian College. He coauthored graphic novels in high school and middle school classrooms.